Our varied, unique Rohsler’s Grown plants are raised and nurtured right here in our own greenhouses and growing fields. Every perennial, shrub, and grass we grow is acclimated to the environmental conditions found in our area and is well suited for your landscape or garden. That means Rohsler’s Grown plants are more likely to thrive – not just survive. 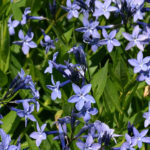 We grow an extensive range of perennials that range from Amsonia to Yucca, ferns, ground covers, vines, ornamental grasses, and ephemerals like Trillium. 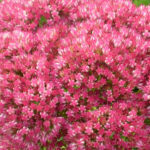 The Rohsler’s Grown brand also includes shrubs, many of them native, plants for pollinators, and hybrids that offer vibrant flowers and seasonal interest to your landscape such as fruit, texture, and colorful foliage. Several of the plants grown in pots that bear the Proven Winners® logo are varieties that were introduced by Proven Winners®, yet grown right here at Rohsler’s. The Hydrangeas that are so popular at Easter are also Rohsler’s Grown. The same is true of our homegrown fall Mums and holiday Poinsettias. There are also plenty of Rohsler’s Grown annuals and hanging baskets sold here each year. Rohsler’s has been growing these seasonal plants for almost four decades. Keeping it local eliminates the shipping and handling of full-grown plants, so Rohsler’s Grown plants have a relatively small carbon footprint. Our adaptable, Rohsler’s Grown plants receive responsible care from our dedicated team, so you can enjoy vigorous, long-living plants. We strive to fertilize responsibly, minimizing fertilizer waste but ensuring stronger, better developed plants with strong roots and sturdy top growth. We care about our environment, our customers’ and employees’ well being, and the wildlife that shares our surroundings. We recognize that bees and other pollinators serve vital roles on our planet. • We use beneficial insects to help control pests. • We integrate biological fungicides and insecticides into our growing practices. • We incorporate organic soil amendments into our potting mixes. • We use beneficial microbes and fungi to help develop strong root systems in our plants. • We use compost teas that benefit our Rohsler’s Grown plants. These sustainable growing practices are the driving force behind the Rohsler’s Grown brand. 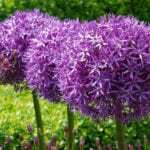 Our goal is to provide you with superior quality plants and expert horticultural advice, so you will derive pleasure and satisfaction from your garden each time you step outside. Your success has been our goal since Rohsler’s was first established in Garfield in 1913. Our founder, European immigrant Herman George Rohsler, began by growing ornamental plants for the landscape. Rohsler’s is now over 100 years old and in its 5th generation of passionate plantsmen. Growing practices have evolved over the past century due to technological innovations, but the love of growing and cultivating plants for the garden and landscape has never changed at Rohsler’s. 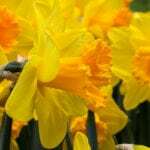 Our loyal customer base has afforded us a century-long opportunity to grow and offer quality plants and horticultural advice to our customers. We are grateful for the support of our loyal customers, and look forward to continuing to provide you with Rohsler’s Grown plants.” If you haven’t seen or experienced Rohsler’s Grown plants in your landscape or garden, please stop by Rohsler’s to learn more. We welcome you to our garden center and nursery to see firsthand our vast selection of Rohsler’s Grown plants filling our greenhouses and sales yard. As always, your gardening success is our pleasure. Our expert horticultural knowledge, growing techniques, skill, and expert advice is the framework of the Rohsler’s Grown brand helping ensure your gardening success. We look forward to serving you this spring and every season beyond. 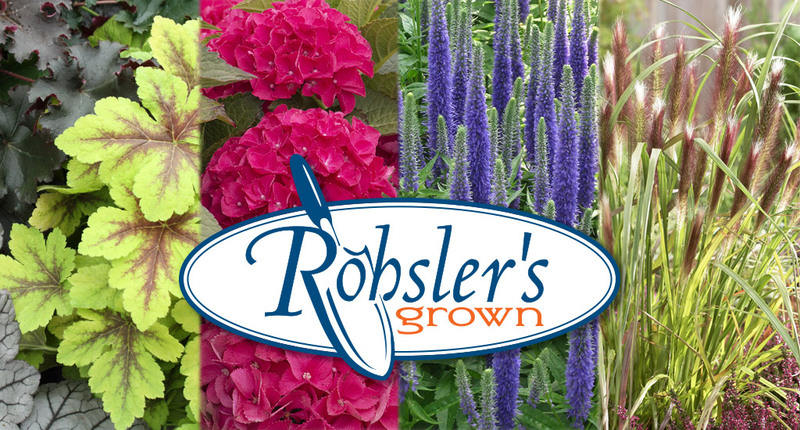 There’s no time like the present to discover the diverse offerings of Rohsler’s Grown plants! We’ll see you soon.